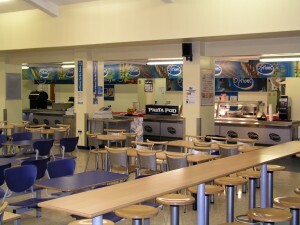 The school has two areas for purchasing food at break and lunchtime. The main area is called ‘High Options’ and comprises both restaurant and cafe facilities. 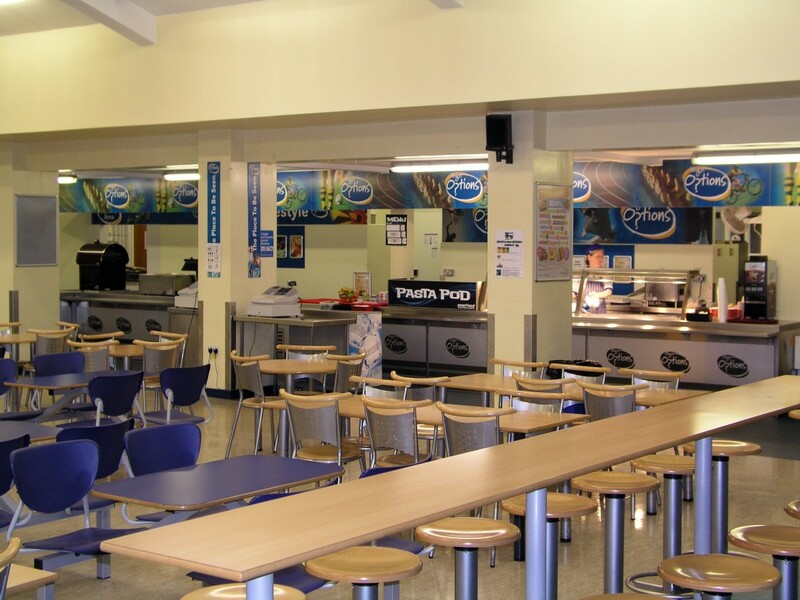 In the restaurant students and staff can purchase hot and cold snacks, drinks and main meals. The sixth form students and staff have access to a café area that stays open for all students until 5pm in the evening on most nights. A second café is in the Pavilion and offers a similar range of drinks and light food as that available in the café area of High Options.